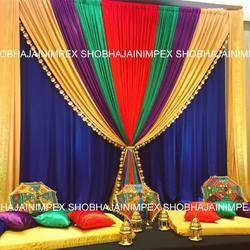 Leading Manufacturer of black jodha akbar sangeet stage, gujrati wedding sangeet stage, umbrella themed wedding sangeet stage, surai for sangeet decoration, wedding sangeet and mehendi decoration and modern sangeet and mehendi stage from Delhi. 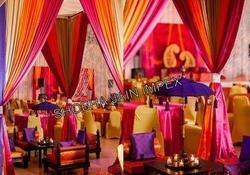 Our Sangeet and Mehendi Decoration convey the wow factor to your stylistic layout. 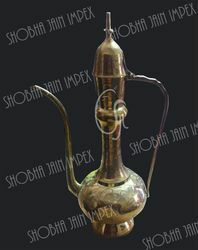 Including a wide range of props and elegant backdrops and furniture to complete the occasion, we offer best quality and pricing. 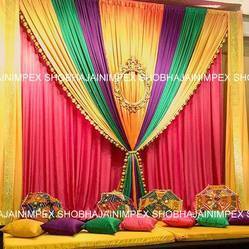 Looking for Wedding Sangeet and Mehendi decorations ?